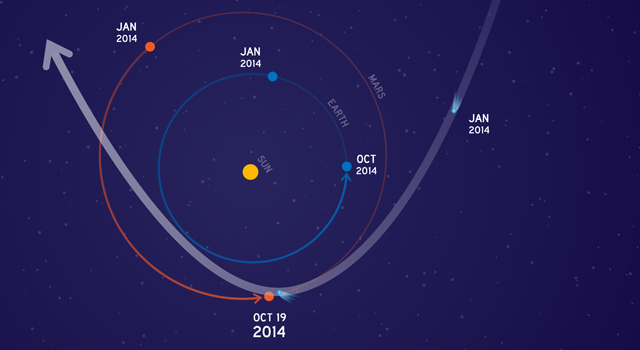 This graphic depicts the orbit of comet C/2013 A1 Siding Spring as it swings around the sun in 2014. On Oct. 19, the comet will have a very close pass at Mars. Its nucleus will miss Mars by about 82,000 miles (132,000 kilometers). Image credit: NASA.